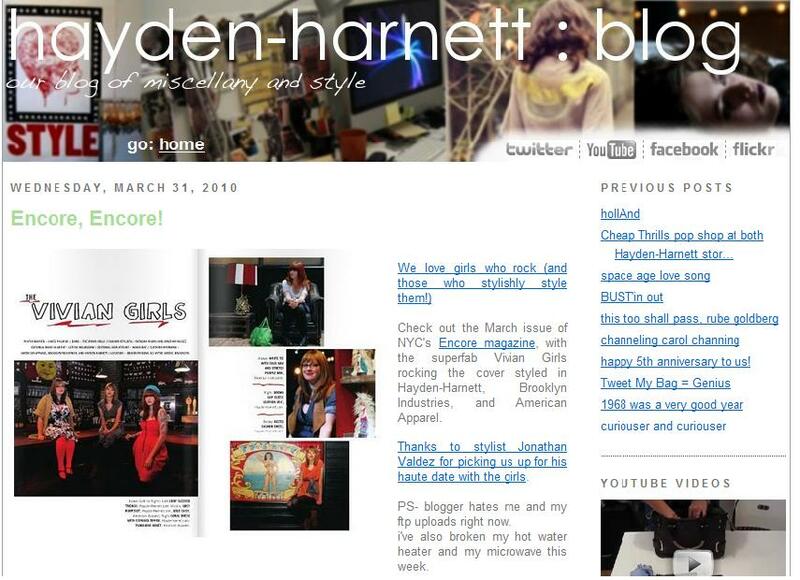 Love The Love From The Hayden-Harnett Blog! Last month I posted that I got to style the band The Vivian Girls for the cover and spread of the March issue of Encore Magazine. It was such a fun shoot! 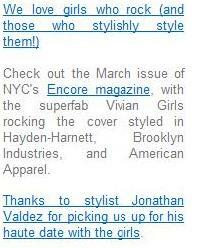 I styled the rocker girls with clothes from Brooklyn Industries, American Apparel and Hayden-Harnett. I loved pulling from Hayden-Harnett because they had some truly great pieces like an all grey jumpsuit and beautiful colors. Love that you loved it HH! Thanks for having amazing clothes to shoot with!